How Design is Valued: A Hybrid Analysis | What is it worth? The perception of modern and contemporary design objects as mere functional interior objects have changed as the collector demand skyrocketed. Since early 1990s, mainly with the rise of the mid-century design trend, the secondary art market started to recognize design as a valuable category. Meanwhile, two main design focused auction houses were founded: Peter Loughrey founded the Los Angeles Modern Auctions (LAMA) in 1992 and Peter Wright founded Wright 20 in 2000. The prices have increased consistently and some unique pieces fetched astronomical prices at auctions, which begs the question: How are design objects valued? Ron Arad, Creature of Comfort, 1992. Stainless steel. Sold for £16,250 at Phillips London. In the process of explaining why something is worth more than its actual physical material value, a brief look into cultural economics is useful. Design goods possess both cultural and economic values and the interaction of which affects the demand and eventually the price. With the increase in cultural appreciation of modern and contemporary design, the economical value increases as well. Recognition of the designer as artist, uniqueness of the object, the interest of famous collectors and acquisitions by museums are the main influences that increase certain designs’ historical and thus cultural value. Similar to valuing fine art, the methodology used to determine the estimated price of a design object is a combination of comparative analysis and hedonic modeling. Peter Wright, founder and director of Wright 20, says “Auction houses provide an invaluable resource for the valuation of design object.” and adds that the design field is now mature enough to use realized prices to benchmark valuations. This is called comparative analysis. The expert compares the piece with other pieces of the same designer, with similar attributions that have sold in the market. 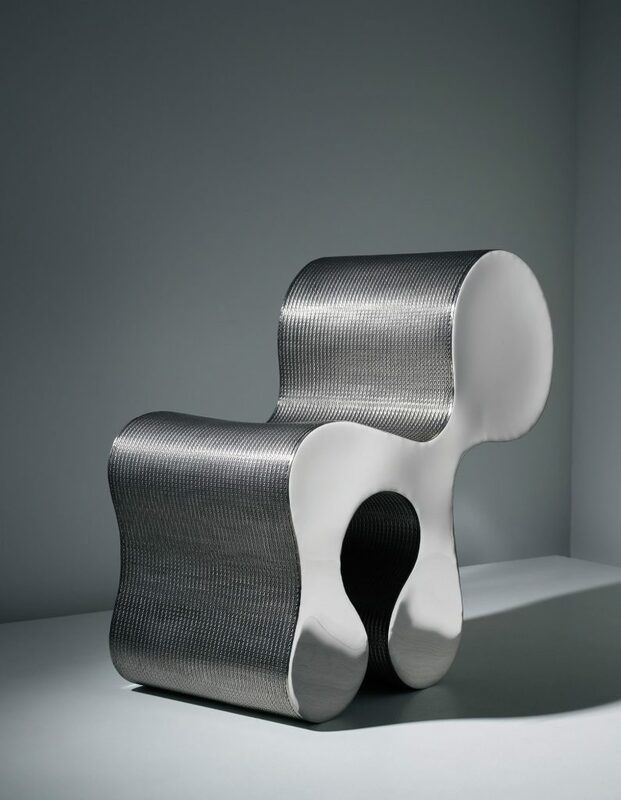 What is important here is finding the recent auction prices realized for similar works by the same designer. You can find this information by looking at public sales records. Mearto’s price database is an efficient and free platform to use. For further information about comparative analysis, see our article How to Value Art: A Simple Explanation. Besides comparative analysis, hedonic price modeling is used to estimate the price, by breaking down the design object into its integral characteristics, and derives estimates of the contributory value of each attribute. 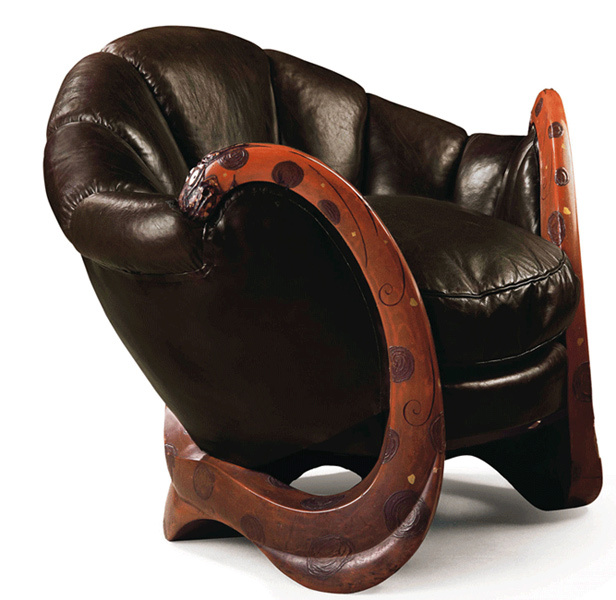 Most Expensive Design Furniture: Eileen Gray (1878-1976), Fauteuil Aux Dragons, 1917-1919. Sold For € 21,905,000 at Christie’s Paris in February 2009. Photo courtesy of Christie’s. Moreover, if the designer has passed away, the price would increase, both because the sudden attention to their work and the fact that their oeuvre has come to an end. The time passed from the date of design and production to the sale at auction affects the historicization process and cultural value. The price significantly increases by the number of years from the creation date. In addition to that, if a design piece is from a period that is on the rise in the market, the price would increase. For example, mid-century Scandinavian Design is worth more than 1970s Scandinavian Design. Naturally, if an object is worn out it would reduce the price, since extreme renovations are not possible with collectable design objects. If a design object is unique or manufactured in a limited series, or it is very rare for other reasons, the price will increase based on the supply-demand principle, which is often referred to as “rarity-demand” in the art world. For example, the most expensive 20th century design furniture is the Dragon Chair, designed and handmade by Eileen Gray. It embodies all of these attributes but most importantly, uniqueness. Like a masterpiece painting, there is only one of this chair in the world. This attribute also includes designs with rare materials. For example, a Shell Chair by Hans J. Wegner is still produced, but the examples made with bent teak are only from the original production period, thus much rarer. Provenance is the history of ownership, in order words the sales and acquisition history. If a piece is from an important collection, or if it is similar to a piece in an important collection, it would attain validation and as a result its price would increase. Similarly, if an object is exhibited in a museum or gallery, providing the validation of art institutions, the price would increase. Of course, some exhibitions are more special than others, depending on the production year, prestige of the museum or gallery or even the movement the design object belongs to. For example, for Danish Modern design, if a work was exhibited at the Copenhagen Cabinetmakers Guild Exhibition, the price would increase. For design furniture, manufacturer is one of the key attributes. If an object is manufactured by the original company or a famous cabinet maker, the value will increase. For example, a design by Finn Juhl would be worth more if it is made by Niels Vodder, famous Danish cabinetmaker, because it combines two important talents and it is from the original years of production. If the offered lot is a complete set, the price would increase. For example, a complete dining set by Hans J. Wegner, would be worth more than the sum of its parts. 8. Want to sell modern design at auctions? I extend my thanks to Richard Wright for his quote. Photos copyright of the auction house. Cover image courtesy of Phillips Auctioneers. Graeser, P. (1993). Rate of return to investment in American antique furniture. Southern Economic Journal, 59, 817-817. Hauffe, T. (1998), Design. A Concise History, London, Laurence King Publishing. Lindemann, A. (2010), Collecting Design, Köln, Taschen. Throsby, D. (2001). Economics and culture. Cambridge University Press.